It’s as much ‘personal’ as it is training. We will match you with the right trainer who will keep you motivated. 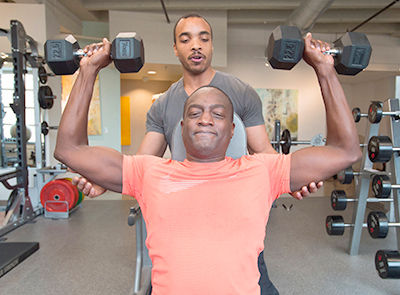 Your trainer will customize a program that will get you to your goals. We apply our experience and education to fun and challenging workouts for sustainable results. If you are new to the process, tell us a little about you and your goals, and we will work with you to find the right trainer and package. 1. Trainers provide accountability and motivation. Your body can do more than what your brain tells it! Working out is about “progressively overloading” your muscles. 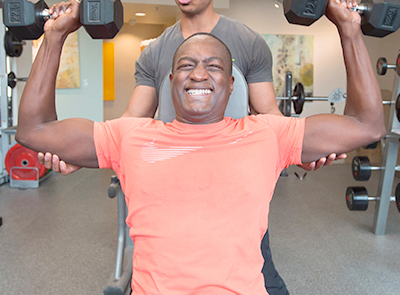 Having a personal trainer pushes you to see the responses from your muscles you are looking for. Are you one that has trouble scheduling your workout, or coming in for the time you scheduled your workout? Something comes up at work, you are not feeling that intrinsic motivation, friends are going out, etc. Lose these excuses and be accountable not only to yourself but to your trainer. 2. Trainers do the thinking for you and apply their expertise. A MINT personal trainer plans exercise programs the same way you think about your job – constantly. That expertise results in a progressive exercise regimen that is thoroughly researched and designed for you. A trainer carefully watches and corrects minor mistakes in form. Most often, the smallest tweak of an exercise will change the muscle that is targeted. Unless you are also a trainer, this is something you can’t do on your own, or even from watching a video. It’s easy to not even be aware of a mistake in your form. Consistently doing an exercise incorrectly can lead to injury. 3. A trainer will push you just enough. A trainer will push you harder than you will push yourself but keep you from rushing ahead too quickly. 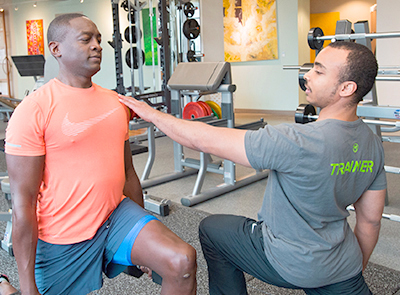 A MINT trainer knows how to push you beyond your comfort zone and when to stop before pain or injury occurs. A good trainer will expertly shape an exercise for you. 4. A trainer helps you identify and reach goals. You set the goals, and MINT trainers help you attain them. They encourage you by noticing improvements you wouldn’t even think about. This is helpful when the inevitable discouragement tries to set in. 5. 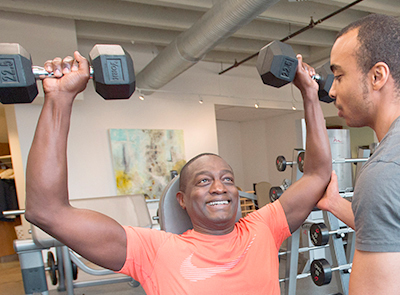 A trainer will personalize your workout. 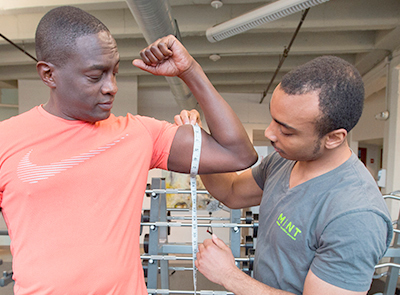 MINT trainers know how to customize a workout based on your individual strengths, weaknesses, and goals. They increase cardio endurance with a running interval plan, create better balance by mixing up exercises and equipment, build strength where it matters with a strategic plan, and correct a body imbalance through thoughtful exercises. 6. Trainers reduce the possibility of injury. An injury can derail a workout program and cause so much discouragement that you could lose momentum and determination to continue. A good trainer will help you to do exercises properly so you won’t injure yourself. 7. It’s an ego boost! It’s a fact—feeling good makes you look good, and vice versa. 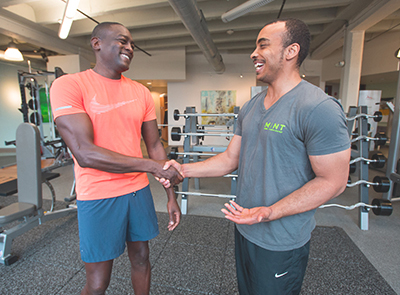 Not only can your personal trainer help you achieve your health and fitness goals, he or she can provide you with positive feedback on your performance and bolster your confidence to take on new challenges.